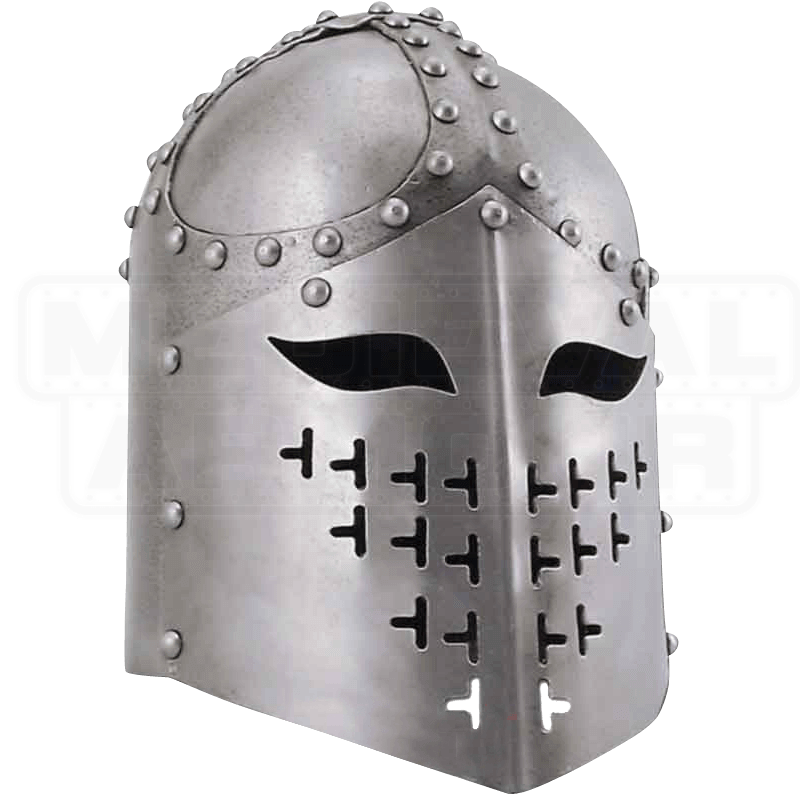 This unique armor helmet of history was favored by many knights of the Middle Ages. It gets its name from the individual plates called spangens that were united to form the round contoured top which shunted blows easier than flat top designs. Great for SCA combat, this helm is not a lightweight, each is handmade from 14 gauge steel. Display or get your padding on and you are off to war.